One of the most expected and watched moments of the Olympic Games is the cerimônia de abertura – or the Opening Ceremony. 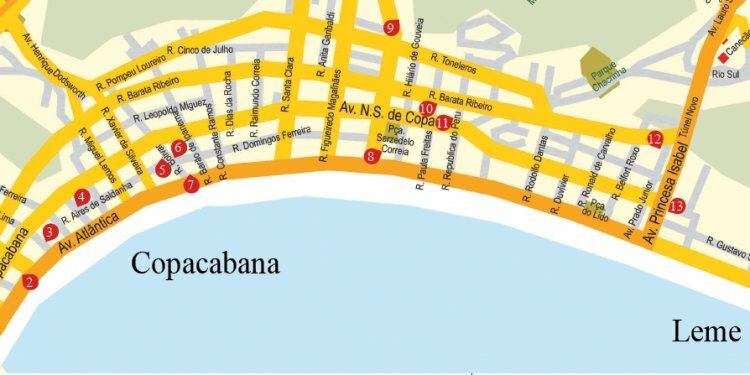 The Rio 2016 cerimônia de abertura will take place on August 5, at Maracana Stadium. This is an opportunity to see an artistic spectacle showcasing the Brazilian culture. The tocha olímpica (Olympic torch or Olympic flame) is a symbol of the Olympic Games, introduced at Amsterdam 1928. The Rio 2016 torch relay has been running since the beginning of May. Through August 5, the tocha will have been carried by 12, 000 torchbearers through 329 Brazilian cities. Athletes and officials will represent 207 countries during the desfile de atletas – or parade of athletes. In keeping with Olympic traditions, Greece will enter first, while Brazil, the host nation, will enter last. Other countries will enter in Portuguese alphabetical order. But don’t worry, Canadians: Canada also starts with ‘C’ in Portuguese – not with ‘K’ – and it won’t take too long to see Team Canada, as it will be the 38th country to show up. The group of athletes, coaches and sports delegation of each country – national team, in English – is known as seleção or time (tee-meh) in Brazilian Portuguese. For example, Seleção Canadense (Team Canada) or Seleção Brasileira (Brazilian Team). Understood? Now it’s time to say “Vai, Seleção Canadense”! (“Go, Team Canada”!). The pódio (podium) is the place every Olympian aims to reach. Did you know the pódio was introduced at the 1930 British Empire Games (now Commonwealth Games), in Hamilton, Ontario? Los Angeles 1932 was the first time a podium was used in an Olympic Games. As everyone knows, becoming a vencedor (winner) is the main goal of any atleta (athlete). We can also refer to the winner as campeão (champion). The main representation of an athlete’s victory at an Olympic Games is the gold medal or medalha de ouro. Athletes who do not finish first, but still land on the pódio, take home the medalha de prata (silver medal) or the medalha de bronze (bronze medal). June 16 will mark 50 days until the início (start) of Rio 2016. Don’t forget to check the dates and the start time (hora de início) of your favourite events! After a fast início, the rowers finalizaram (finished) the race in first place. Take note: the verb for finish is finalizar. Here is an easy one. Donovan Bailey once held the world record for the 100-metre race. Do you know how to say record in Portuguese? Recorde. Pretty similar to english, right? August is a winter month in Brazil, but you should always be prepared for a hot day – or dia quente – when you are in a tropical country. Although January and February are the hottest months in Rio, temperatures have hit 32°C during the day of the Olympic month. Do you have a day-off or a break between events? Grab your sunscreen and head to one of the beautiful praias (beaches) of Rio de Janeiro. The city has a coastline of more than 40 km, with beaches to suit every taste. A hot day in Brazil + beach + cold água de coco (coconut water) = the perfect combination. Enjoy!